Engrave your best baseball achievements on this impressive baseball award trophy. 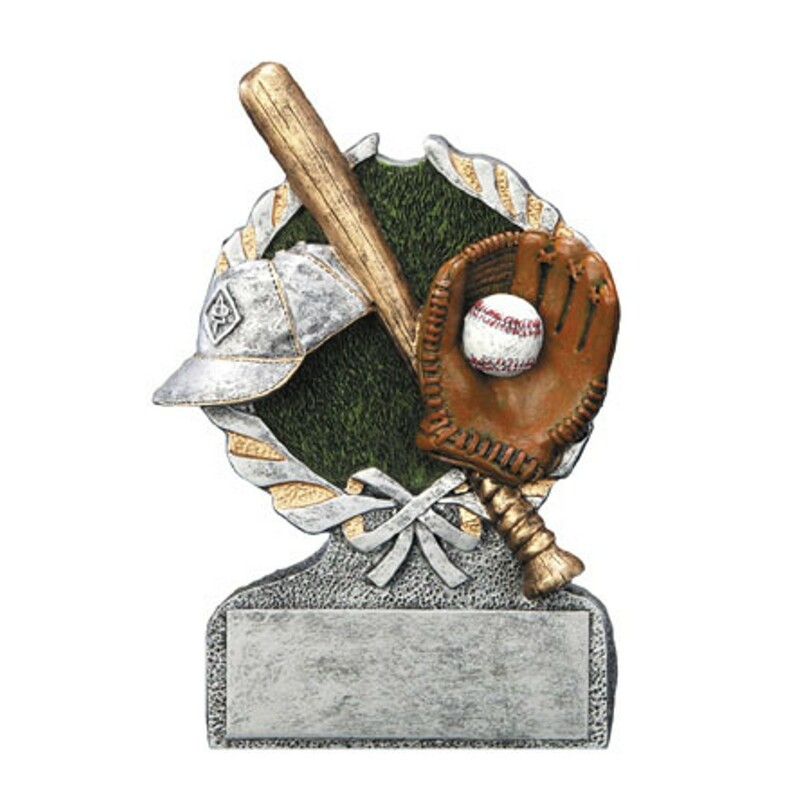 Made of high-class resin, the Baseball Resin Wreath Award is a pewter-tone baseball award with gold highlights featuring a baseball bat, cap, and glove with a ball surrounded by a classic victory wreath. A magnificent award for a marvelous baseball team or individual.